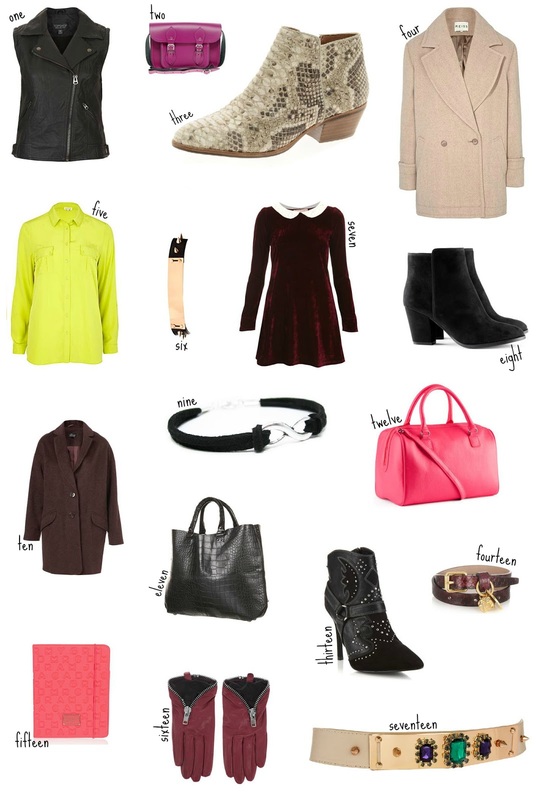 it took me a while to put this little list together out of a few pieces i’ve wanted for ages (that reiss coat, omg) and a couple of new in selections. i feel like i’m a bit disappointed with AW12 fashion this year, as i usually bankrupt myself in topshop etc but this time round i simply haven’t been as bothered. though, i am quite into dresses at the moment ever since i bought those amazingly warm primark tights (seriously guys go buy a pair) which are worth every penny of their £2.50 price tag. that velvet doll-like one above is beautiful as are so many other women’s dresses at the moment. anything with velvet and a collar gets my inner goth vote. my next gift wishlist is a beauty one so stay tuned for that!